How do I use a particular Project Survey in another Project? Instead of having to re-write a new Survey for every new Project, you can create them at the Community level and to apply to your Projects. You can turn create a new Survey or edit an existing one to be a Global Template (located under Advanced Options), which can then be applied to all Projects. 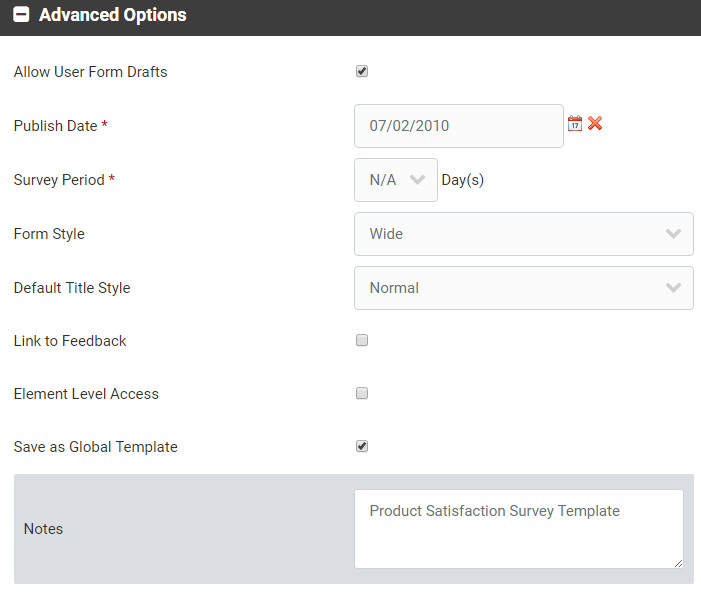 Choose a Template to build your survey off of or add your own Title, Menu Label, Team Access and Advanced Options. *The Global Template setting can be found here. Click Save as Global Template. Add note as desired. If you've created a Survey within a Project that you need to apply to others, that Survey must be re-created at the Community level using the above steps in order to accomplish that.